It’s hard to believe that 2017 is already in full swing, and even harder to believe that tax season is upon us once again! The IRS started accepting refunds on January 23rd and as many of us know the deadline to file is typically April 15th. With the 15th falling on a Saturday this year, the deadline has been extended to Monday April 17th. You don’t have to be a financial expert to know the basics of tax time, but it does seem that there are many people who don’t know about the tax benefits that come with home ownership. The agents at BN Realty think this is a great time to educate our current and prospective clients about these benefits! Your mortgage interest is deductible from your taxes. 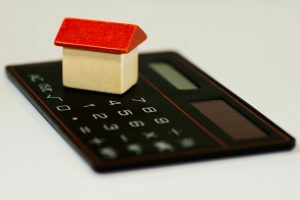 Interest payments tend to be a large portion of most homeowners monthly mortgage payment in the early years of owning a home, making this a considerable amount of money for a deduction. Property taxes are also fully deductible on your tax return. Again, these payments tend to be large and when filed on your taxes the savings are substantial. This is true whether you pay your taxes or have the bank pay them through your escrow account. If you have a home equity line of credit, the interest on that is also deductible. If you have credit card debt, you could consider moving that debt to a home equity line to get a lower interest rate and then deducting that interest at tax time! Generally the interest can be deducted up to $100,000. When purchasing a home, some buyers must pay “points” to the lender. If the amount of points paid at closing is equal to the cash down payment made at closing, that amount is deductible as interest. This is true even if the seller pays for your points at closing! Energy saving home improvements can earn a tax break if they’re made to your primary residence. This credit can be up to $500! You may qualify if you purchase energy efficient windows, doors, roofs, air conditioners, water heaters, furnaces, etc. If you’ve lived in your home for at least 2 out of 5 years prior to selling it, you can earn up to $250,000 if single and $500,000 if married and filing jointly of the profit from the sale, tax free. This can be used each time you sell your home, if you have lived in it for 2 out of 5 years. If we haven’t quite convinced you yet to consider purchasing a home for the tax deductions, we want to talk about another reason that you should consider this great investment now! A challenge for most buyers is coming up with their down payment. It’s hard to set aside money from each pay check to save for that down payment. But what about when your tax refund comes? That money is typically unaccounted for in your monthly budget – so why not use it to put towards that down payment on your dream home? Let the money work for you and your future and then get an even bigger tax refund next year based off the deductions mentioned above! It’s a win-win situation. We at BN Realty are anxiously awaiting your call and can’t wait to discuss this more with you in person! Call us today at 309-319-6030.